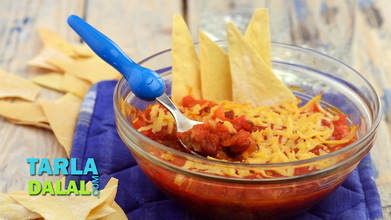 A cool and fresh topping that is perfect for serving with crisp and spicy finger foods. 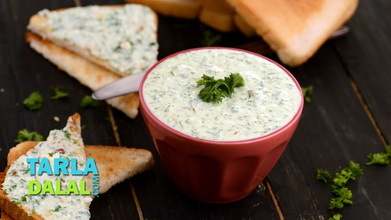 With simple, easily-available ingredients, this dip can also be prepared very easily by just blending together all the ingredients. 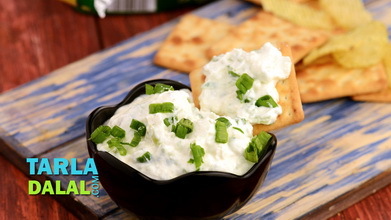 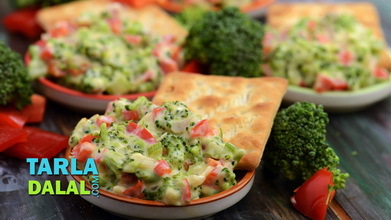 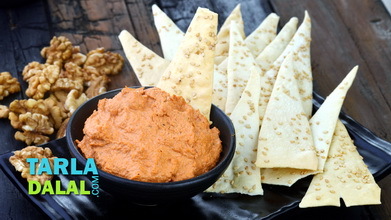 Keep the spring onion and curd dip refrigerated till you are ready to serve, to retain the fresh flavour and cool feel. 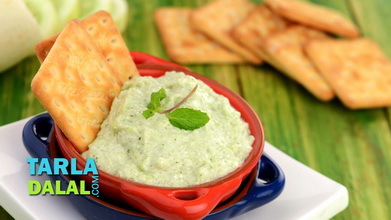 Combine spring onion whites and greens, ½ cup curds, green chillies, garlic and salt, in a mixer and blend till smooth. 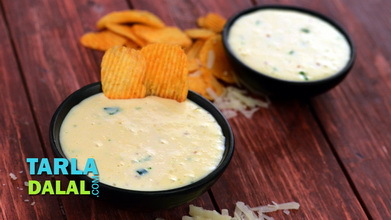 Transfer the mixture into a deep bowl, add the remaining ½ cup of curds and mix well using a whisk. 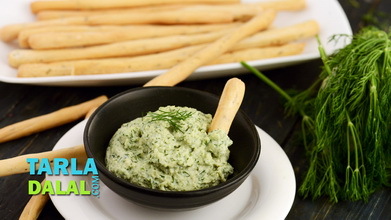 Serve chilled with bread sticks and chips.